Who's That Tapping at My Window? 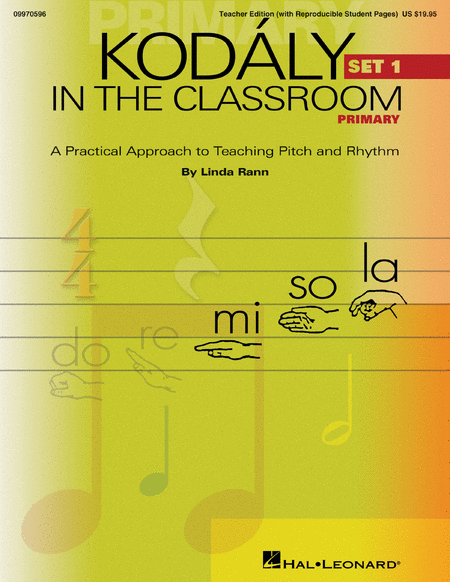 Kodaly in the Classroom, Primarily (Set 1) is a collection of children's songs and teacher lessons sequentially organized to teach the basics of pitch and rhythm through singing and games for younger elementary students. The song material consists of American folk and well-known children's songs. Teacher lessons are easy to follow and do not require previous training in Kodaly methodology. The collection includes lesson plans, reproducible singer sheets and activities.